Use for pork or crown roasts, pan gravy, lasagna, etc. The Calphalon 16-in. 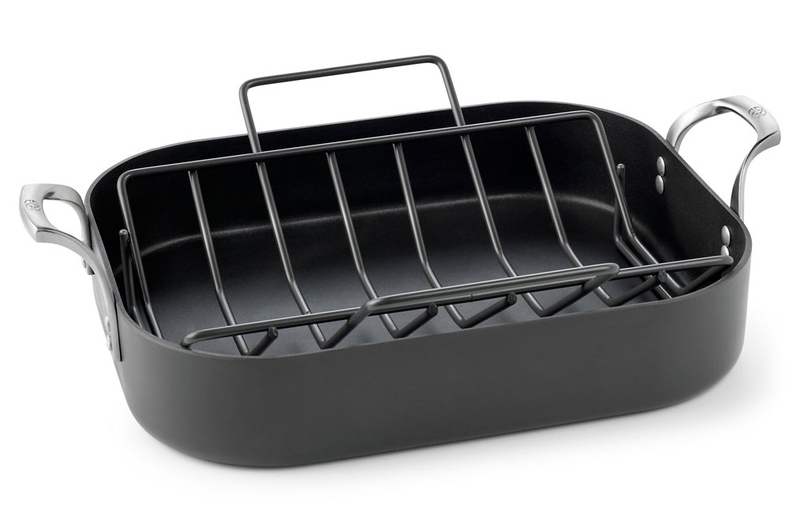 Nonstick Roaster with Rack is generously sized to accommodate up to a 25lb. turkey. The triple-riveted handles make lifting and turning easy and oven-to-stovetop versatility is perfect for making gravy. 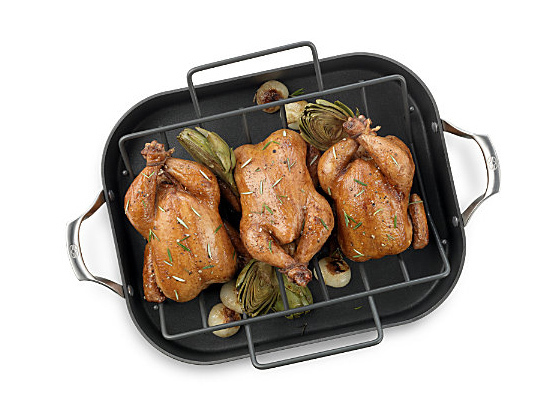 The nonstick V-Rack allows heat to circulate, for crisp, beautifully browned poultry and roasts. Safe for use on stovetops with gas, electric-coil burner and ceramic/glass cook tops. Not for use on induction cook tops.